Just ten? That's totally not fair. Love Neil Gaiman? Meet Headley. Her storytelling has that same dark, whimsical flair, but she's definitely her own writer. Her characters are endearing, and she has flying ships. Flying. Ships. IT WAS SO GOOD. Well, if our mutual love for Uprooted is any indication, you'll like at least some. Cross-dimensional war? Need to add The Unquiet to my to-read list, then! It's not super focused on the fighting, but there is indeed a war. I want to read quite a few books on your list this week! :-) Glad to see them on there. My TTT! I hope you love them too! Haven't read all of this, but I really want to read The Winner's Curse! It seems interesting, and have a forbidden romance :D Uprooted sounds great too! IT'S SO FREAKING GOOD. Take what you think it's like and imagine it 100 times better. It's so freaking good. Just have tissues ready. CURSE YOU, GOLDEN SON ENDING. Morning Star is gonna murder me. I hope you get to read those soon! I loved the Something Strange and Deadly series! I'm still not over that ending. It was amazing but, ugh! The Winner's Curse and Uprooted made my list as well. SO good! Great list. O_O <-- my face when I think about that ending, only then there are tears and pouting. The book covers are soooo eye catching for the books you've chosen as your favorite reads so far this year. I haven't read any of the books from your post this week, so have some books to explore. I haven't read any of these yet but I want to start that trilogy by Susan Dennard after seeing on your blog last week! I love your blog design! So minimalist and pretty! 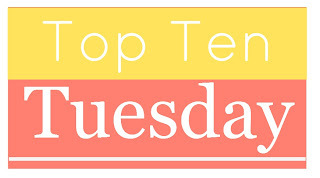 This is a really great list; The Winner's Curse trilogy has proven to be amazing so far. Trust me The Winner's Crime is even better than the first! I'm dying to read uprooted. I've heard so many great things about that book. Here is my TTT! We share A Cure for Dreaming! Great list!